The Federal Housing Administration has been hit so hard by the mortgage crisis that for the first time, the agency’s cash reserves will drop below the minimum level set by Congress, FHA officials said. The FHA guaranteed about a quarter of all U.S. home loans made this year, and the reserves are meant as a financial cushion to ensure that the agency can cover unexpected losses. Until now, government officials have warned that the agency could be forced to ask Congress for billions of dollars in emergency aid or charge borrowers more for taking out FHA-insured loans if the reserves fell below the required level, equal to 2 percent of all loans guaranteed by the agency. Both options are politically unpalatable. Congress and the public are weary of bailouts after the government spent hundreds of billions of dollars rescuing banks; insurance companies; automakers; and the mortgage finance giants, Fannie Mae and Freddie Mac. Raising premiums for borrowers could increase the cost of buying a home just as a wounded housing market is showing signs of life. Stevens said that such drastic actions are not needed. He said he is planning to announce Friday several measures that should help the reserves rebound quickly. The FHA, which is part of the Department of Housing and Urban Development, insures home mortgages against losses, thus helping prospective borrowers obtain loans. It uses the insurance premiums paid by these borrowers to pay for mortgage defaults. Since its creation in 1934, it has never used taxpayer money to cover losses at its flagship home-buying program. But rapidly rising defaults have burned through the agency’s reserves, raising the prospect that it would have to take dramatic action. The reserves are meant to ensure that the agency remains solvent and can continue helping people get mortgages, which in turn supports the housing market and wider economy. An independent audit due out this fall will show that the agency’s reserves will drop below the 2 percent level as of Oct. 1, the start of the new fiscal year, Stevens said. Although the reserves had remained well above the minimum required level during the housing boom, the audit last year showed they had shrunk to 3 percent as of Sept. 30, compared with 6.4 percent a year earlier. The fund’s value was estimated at $12.9 billion, down from $21.2 billion the previous year. He stressed that the agency plans to take other steps that will help beef up the reserves. Some of these measures address fraudulent loans that can contribute to FHA’s losses. For one, he will propose that banks and other lenders that do business with the FHA have at least $1 million in capital they can use to repay the agency for losses if they were involved in fraud. Now, they are required only to hold $250,000. Second, he will propose that lenders also take responsibility for any losses due to fraud committed by the mortgage brokers with whom they work. In an effort to reduce the risks faced by the agency — and thus the potential for losses — Stevens said he plans to hire a chief risk officer by the end of the year. The agency has never had one in its 75-year-history. Though these changes were in the works before the FHA reviewed the new audit, he said the steps should help fatten up the FHA’s loss reserves faster than projected. The new audit shows that even without any new measures, the reserves will rebound to the required level within two or three years largely as the result of the recovery in the housing market, Stevens said. This calculation is based on projections of future home prices, interest rates and the volume and credit quality of FHA’s business. The audit appears especially dire because it offers a snapshot of the agency’s financial standing at the depths of a severe recession, and it does not take into account the new loans FHA will insure and the new premiums it will collect, Stevens said. The borrowers receiving recent FHA-backed loans have, on balance, been more creditworthy than those the agency is used to catering to, he said. And while the reserves are at a historic low, Stevens noted that they represent only part of the money the agency maintains to cover losses on insured mortgages. The agency, on an ongoing basis, pays for losses directly out of a second fund. The reserve fund is intended as a backup should losses exceed forecasts. In total, these two funds had $30.4 billion as of June 30, up from $28.3 billion on Sept. 30, 2008, according to Stevens. The FHA’s financial health is in the spotlight in part because of its key role in buoying the housing market. The agency lost much of its relevance during the housing boom when home prices soared and borrowers raced to aggressive subprime lenders. But after the subprime market collapsed, borrowers flocked back to the FHA, the only option for those who lack stellar credit or hefty down payments. Its historic role in backing loans is more crucial now than ever. 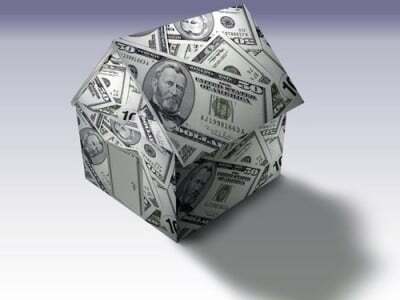 The agency does not lend money; it insures lenders against losses. It has captured 23 percent of all new loans made so far this year, up from just 3 percent in 2006. But the agency’s sudden popularity has alarmed some lawmakers, who regularly question whether the FHA has the resources and expertise to handle its increased workload and avert an avalanche of new defaults.